Celebrating diversity in fashion – in front and BEHIND the lens. In the lead up to Valentine’s day, we are bombarded with billboard posters showing nubile limbs in silken underwear – a repetitive ideal we’ve seen a thousand times over. However, a refreshing display of the female body was unbuttoned this year, courtesy of retailer JD Williams, whose new lingerie campaign, Over Fifty Shades of Grey, features a bevy of grey-haired beauties and a generous serving of self-love. The campaign is a direct response to a YouGov survey undertaken by the brand, which states that three out of five women over the age of fifty feel they are underrepresented in the media. It also follows JD Williams’ 2014 campaign, Perfectly Imperfect, a reaction to Victoria’s Secret ill-advised ‘Perfect Body’ marketing strategy, which caused a furore for promoting an unrealistic body image. Over Fifty Shades of Grey features three mature models posing in their underwear; one of which is Alex B, an All Walks fashion activist. There’s certainly no sign of heart-shaped ephemera here: for these women, the accessory of choice is a placard. “We’re over 50 shades of grey!” shouts one. “Age is just a number!” declares another. Simulating Suffragette-style protests, it’s not difficult to recognise the symbolism at work; giving a voice, and an image, back to women who have suffered invisibility at the hands of an industry that often fetishises youth. The lingerie advert comes after a recent flurry of campaigns featuring megawatt mature leading ladies. From Helen Mirren and Diane Keaton fronting adverts for L’Oreal last year, to Joni Mitchell soulfully strumming her guitar for Saint Lauren, writer Joan Didion for Céline and Oscar-winning actress Jessica Lange at Marc Jacobs. Even if these campaigns were capitalising on the cool factor and cult of celebrity, rather than making a full-bodied attempt at diversity, no-one can deny that their exposure of older women in the mainstream media is progressive. Interestingly, a Body Confidence survey from the Government Equalities Office last year charted a significant rise in body satisfaction in the 50-64 age range, highlighting afresh the disjunction between positive bodily attitudes of this age group, and a pitiful industry reluctance to represent them. The JD Williams campaign is a step outside the parameters of conventional beauty, whether viewed through the prism of reaching out to a mature crowd, or a concerted move towards inclusivity. But bigger efforts need to be made to embrace the diversity of people who don’t fit the thin, white mould in order to truly reflect the multiplicity of society. In selecting three Caucasian models, JD Williams have missed the opportunity to cast women from a range of skin colours. We hope to see even broader diversity in their future campaigns! 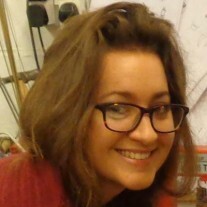 Christobel Hastings is an Events Coordinator at Mumsnet and a freelance writer. She was named Clothes Show Young Journalist of the Year in 2012 and runner-up in the Modeconnect International Fashion Writing Competition in 2014. She has written for publications including Cosmopolitan, Closer, Elle and Women’s Health.